In my previous articles, I explained what Smart Business Service is and how to subscribe and use Smart Business to create analytic content. In this article I will focus on ABAP CDS view and OData. One of the common use case for Smart Business Service is consuming ABAP CDS view from S/4HANA system and create analytic content. When you implement your CDS view and OData service in ABAP, make sure that your service supports auto aggregation and provides OData4SAP annotations. Note: You may refer to this article to know more about SAP Annotations for OData. Let us see step by step process of creating a CDS view and OData service which provide SAP annotations. 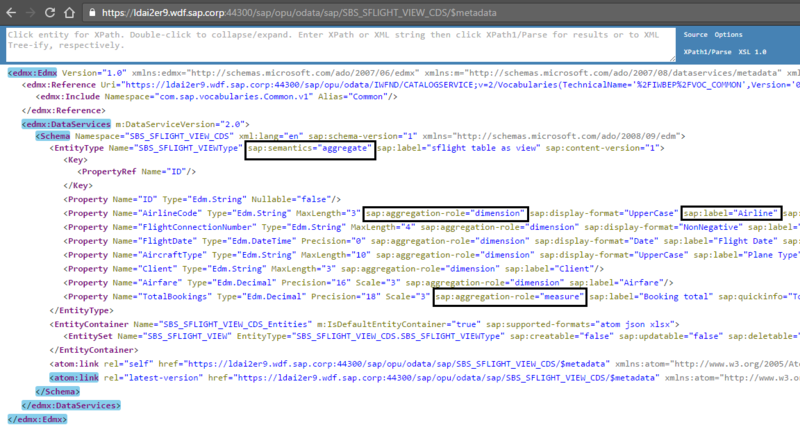 Here we will use SFLIGHT table. 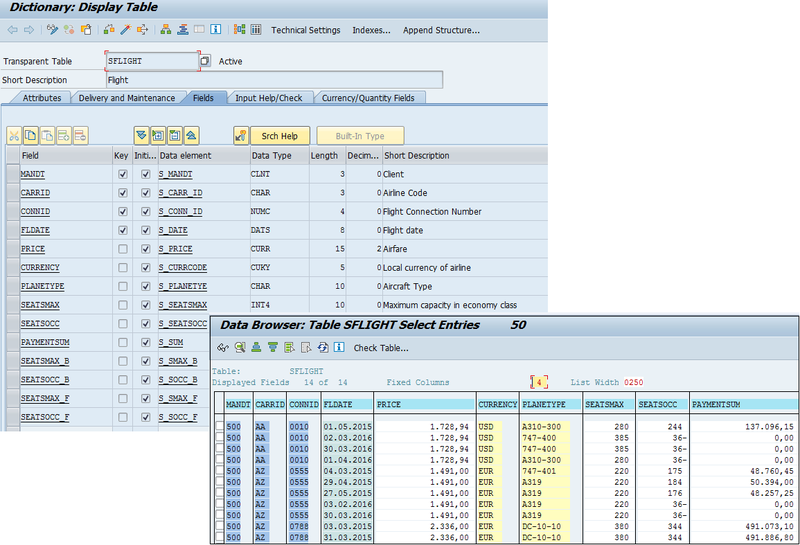 SFLIGHT is a standard SAP Table which is used to store Flight information. You can use transaction code SE54 and SE16 to see the table details as below. You have installed Eclipse IDE and installed ABAP Development Tools in Eclipse IDE. Refer to this link for more details. 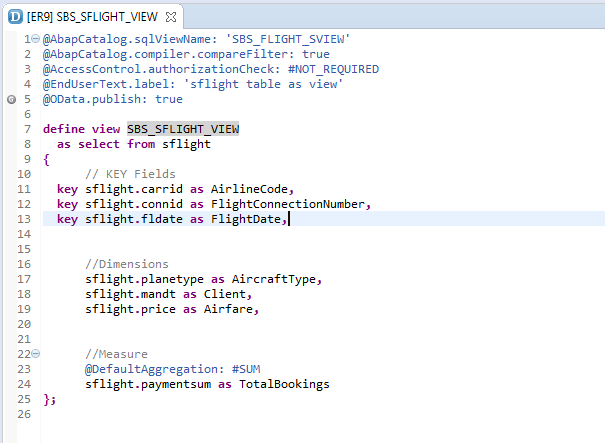 Create a CDS view using SFLIGHT table. For detail steps on creating CDS view, check this link. Use the below code snippet to create CDS view. Now you need to activate the OData service in the SAP Gateway hub. Refer to this link to know detail step of this. Test the Activated OData Service and use $metadata parameter to check metadata and annotation information. The output should looks like below. Now your OData is ready to be used in Smart Business Service. 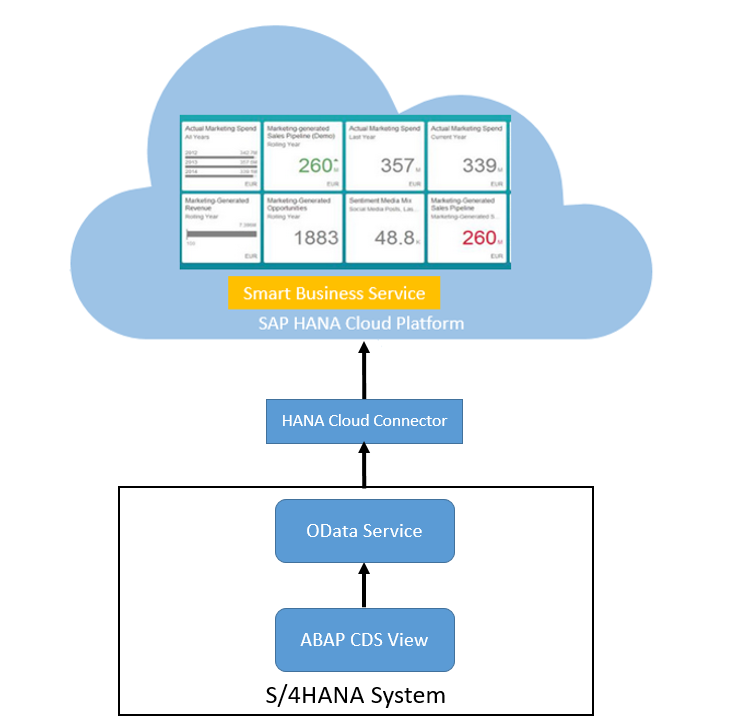 All you need to do is configure HANA Cloud Connector and create KPI and Tiles using the OData. This is similar to on-premise to Smart Business connection explained in the blog Connect On-Premise HANA to Smart Business Service – An End-to-End Example.